You know what is a Business Card QR Code. A QR Code on business card helps you share much more information than a traditional business card. For example—a traditional business card provides only general contact details (such as name, mobile number, and email ID). But a QR Code Business Card allows you share much more details such as website, address, work phone, cell phone, and fax no. Also, with a traditional business card, people have to take out their phone, unlock it, type your contact details, and then save you as a contact on their phone. Since this takes a lot of time and effort, they often simply skip doing it. On the other hand, a Business Card with QR Code allows people to save you as contact by simply scanning the QR Code. Hence, it increases the chances of people connecting to you. Now you want to create Business Card QR Codes for all the employees in your company. This means that you need a unique Business Card QR Code for each employee of your company. You know how to generate a VCard QR Code one-by-one. But how do you generate VCard QR Codes in bulk? To do this, you’ll need a bulk QR Code generation service such as QR Batch. First you’ll have to prepare a spreadsheet having all contact details of your employees. 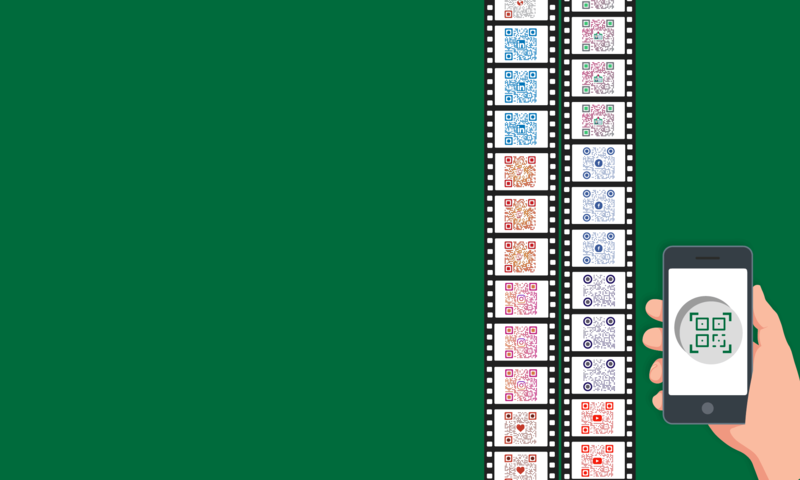 The first column of spreadsheet preferably must contain filename (such as QR Code 1). Second column onwards must be employee details such as name, designation, company, phone number, email address, website, city, and country. See this guide on how to create a spreadsheet for QR Code bulk generation. Once you prepare the spreadsheet, go to QR Batch and sign-up for an account. No payment is required at this stage. 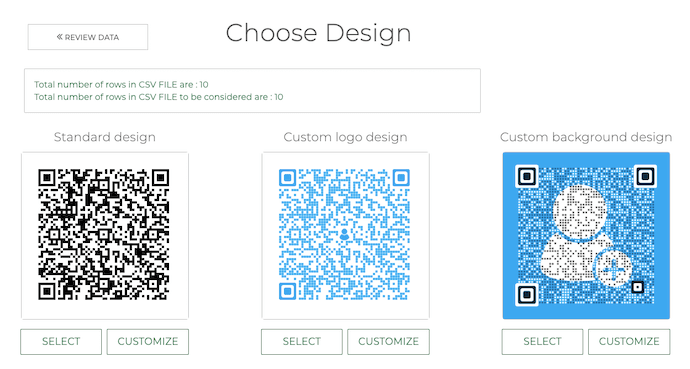 Next, you’ll see four QR Code categories: Website URL, Plain Text, Serial Code, and Vcard. Select Vcard QR Code option. Now upload the spreadsheet you created in step i. Once you upload the data file and proceed further, you’ll need to match the data in columns and data to be encoded in QR Codes. For example, it will ask you which column is filename, which one is name, etc. Simply select the field name from the drop-down option and click Confirm for each field. Once you review the data, proceed to the next step. As you move ahead, you’ll see three QR Code designs on your screen: standard black-and-white, custom logo, and custom background. Note that a customized QR Code attracts much more scans than a plain black-and-white one. So if you want to maximise the number of people scanning the QR Codes, you must customize them. Customisation allows you add your logo and brand colors to the QR Codes, giving them a personal touch. Once your QR Code design is ready, say after customisation, click Select under the QR Code image. As you proceed, a pop-up will appear prompting you to enter details such as Batch name, image format, and size. Enter all the details and click Save. Once you do this, the app will ask you for final confirmation. You’ll also see the preview for one of the QR Codes. Scan this QR Code with a QR Code scanning app on your smartphone. If this is the QR Code you want, proceed further to make payment. You’ll see the amount that needs to be paid. The major advantage of using QR Batch is that you need to pay for only the QR Codes that you create. To get an estimate of what you’ll be charged, you can also use QR Batch price calculator. Note that the payment is made via Paypal account. So you can pay via both Paypal account or credit/debit card. Once you make the payment, your QR Code batch will be generated typically in a few minutes. However, if the number of QR Codes is high (in thousands) it can also take a few hours. Once the batch is ready, you can download it from Download Batch section of the app. You’ll even receive notification via email once your batch is ready. Download the zip folder and test QR Codes before printing. That’s it. 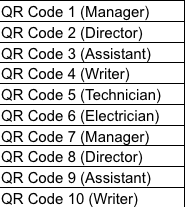 You can now generate any number of Business Card QR Codes for your employees. 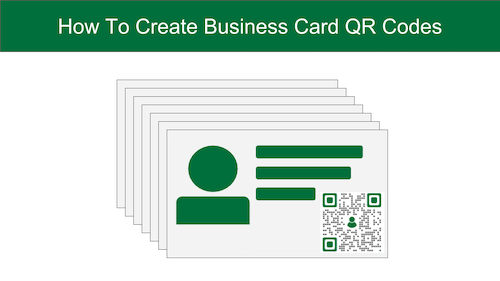 To create Business Card QR Codes, use QR Batch now and generate a visually appealing batch of QR Codes.